Dr. Brusko conducted his graduate training at the University of Florida College of Medicine in the Interdisciplinary Program in Biomedical Sciences. While there, he was awarded the Graduate Fellowship for Outstanding Research Award for his work at the laboratory for Mark A. Atkinson, Ph.D. 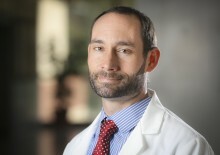 He then went on to conduct his postdoctoral fellowship at the University of California, San Francisco (UCSF) under the mentorship of Jeffrey Bluestone, Ph.D.. Dr. Brusko’s work at UCSF was supported by a prestigious Advanced Postdoctoral Fellowship and then a Career Development Award sponsored by the Juvenile Diabetes Research Foundation (JRDF). This work contributed to the first clinical trial employing regulatory T-cells as a potential treatment for type 1 diabetes (T1D). Dr. Brusko is currently appointed as an Associate Professor within the Diabetes Institute at the University of Florida, College of Medicine. The research interests of his academic lab are centrally themed around understanding the mechanisms by which the immune system maintains a state of control, often referred to as immunological tolerance. A portion of his lab is dedicated to understanding how genetic risk variants influence this process, as well as identifying pathway defects in individuals who develop autoimmune diseases. These studies have focused primarily on genes impacting key checkpoints in T cell activation, including TCR signaling, co-stimulation, and the IL-2 signaling pathway. Dr. Brusko’s laboratory currently serves as the advanced cytometry and cell sorting core for the JDRF-sponsored National Pancreatic Organ donors with Diabetes (nPOD) program. He is an active member of the Helmsley Charitable Trust Team Science Initiative and has a number of ongoing projects to gain a better understanding of the immune repertoire at the site of autoimmune attack through immunosequencing and phenotypic assessments of tissue-resident lymphocytes. Dr. Brusko has published 60 scientific papers reporting on the genetic and molecular basis of defects in immune regulation in autoimmune diseases. A central theme of Dr. Brusko’s research involves dissecting heterogeneity in human immune development and conducting immune phenotypic monitoring in a number clinical intervention trials in T1D. Dr. Brusko serves on review and steering committees for the NIH TrialNet and Human Islet Research Network (HIRN), JDRF Biomarkers and Mechanisms Panel (BMP), and the scientific review panel of the Helmsley T1D Exchange. In addition to his academic appointment, Dr. Brusko is a founding scientific member and chief operating officer for OneVax, LLC, a biotechnology start-up located in the Sid Martin Biotechnology Research Complex in Alachua, FL. OneVax develops tolerogenic vaccines and therapies to induce immune tolerance in autoimmune diseases.